Local lad Jonny returns home! Quakers have today signed Darlo-born defender Jonny Burn from Bristol Rovers. Jonny, 22, was born and brought up in the town, and started his career in the academy at Sunderland, before switching to Middlesbrough where he became their Under 21 captain. After loan spells at Oldham and Kilmarnock, he was released by Boro and joined Bristol Rovers on a permanent basis in January 2017. He made six appearances for Rovers in League One, before joining York City on loan in November 2017. He played 21 times for York (one of them against Quakers in January) scoring three goals, before returning to Rovers, who released him in the summer. Darlington manager Tommy Wright said; “Jonny is a really good addition to our squad. He’s powerful, really good in the air and ticks a lot of boxes. 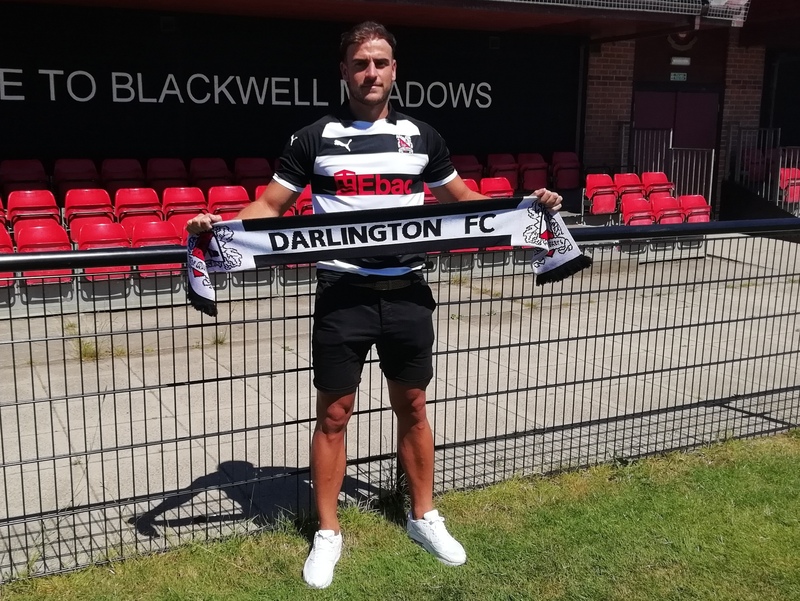 He’s got experience of the Scottish Premier League and the Football League, and he’s also a Darlington lad which means a lot. We would like to welcome Jonny to the club, and wish him all the best during his stay with us. You can listen to his interview with the official website here.